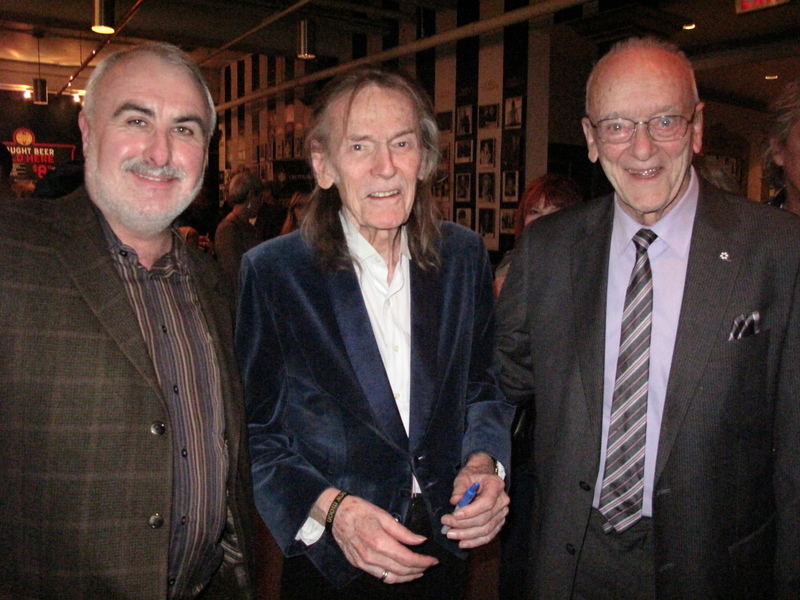 George Shields, right, and Barry Tripp, left, of the East York Barbershoppers, and Gordon Lightfoot, centre. Photo: Submitted. Last summer, the mother of Beach resident bought a silver tray at a thrift store on Danforth Avenue, intending to use it as a centre piece at her grand-daughter’s wedding. Upon closer examination, it was discovered that it was an Order of Canada commemorative tray that had been presented to George Shields in Ottawa for his work with the East York Barbershop Chapter in 1986. Shields had been named to the Order of Canada for his extensive service to the community through barbershop and its long-time service project, Harmonize for Speech, a charity that has raised more than $5 million to help kids with speech challenges. When Susan Alexander noticed the unusual inscription on the back of the tray her mother had bought, she assumed Shields had probably died but realized the tray would be important to his family members. Alexander then Googled Shields’ name hoping to return it to a family member who might want the tray back. “I found out he was part of a barbershop singing group out of East York called the East York Barbershoppers,” Alexander said. She reached out to Barry Tripp, who is with the East York Barbershoppers, to learn Shields is now 93 and still sings with the group. Alexander passed the tray on to Tripp a few days later. Shields is delighted to have his tray back, Tripp said. A formal presentation of it to him is set to be made on Tuesday, Feb. 5, at Harmony Hall, (2 Gower St.) a seniors community centre where Shields and the barbershoppers practice.